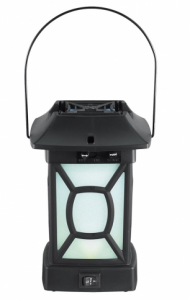 Home Subject ArchiveHome ImprovementGuest Blog: Thermacell Mosquito Repellent Lantern – Does it Work? Guest Blog: Thermacell Mosquito Repellent Lantern – Does it Work? by The Homeupdated on Leave a Comment on Guest Blog: Thermacell Mosquito Repellent Lantern – Does it Work? There’s nothing worse than enjoying a relaxing evening on the patio and being eaten alive by mosquitos! What about those smelly citronella candles that you have to stock up on before an upcoming camping trip? Either way, mosquitos are pesky little creatures, and can prevent even the most fervent nature lovers from wanting to step foot outdoors. Every summer, my family and I love to go camping; to the beach, to the mountains, wherever the wind blows us. Over the weekend, I got to try out a new mosquito repellent product called the Thermacell Mosquito Repellent Patio Lantern. It’s a small lantern designed to repel black flies, mosquitos and other bugs that bite! I’ll be taking this handy gem back home to permanently use out on the patio! According to the manufacturer, it covers a 15’x15’ area, which is the size of an average patio or deck. 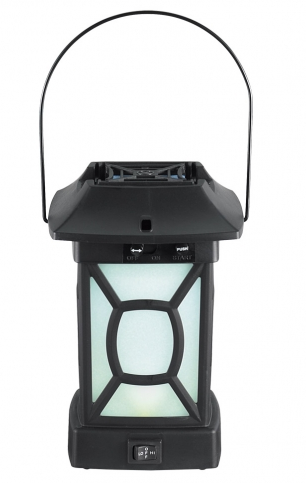 Rather than burning citronella candles or spraying repellent directly onto the skin, this lantern has no open flame or oils, but a butane cartridge that heats a repellent mat that sits on top of the lantern. Heat vaporizes the repellent, and it dissipates into the air. A few batteries power the lantern’s light. I was intrigued by this product’s aesthetic. It looks like an old-school lantern and it would look great with any patio décor. The light inside isn’t overly bright (it has two brightness settings), but illuminates the immediate area enough to be useful and ambient. The true test was whether or not it would repel the mosquitos flying around our campsite. Fortunately for my family and me, it did a great job. Each repellent mat lasts four hours, the perfect amount for an al fresco night on a deck or patio. The mat and butane cartridge replacements can get fairly pricey if you use this lantern often, but overall, the lantern does what it’s supposed to. For larger spaces, you could purchase multiple lanterns and place them around the patio or yard to ensure proper repellent coverage, and the lighting would look great, too! Another great advantage to this product was that there was no open flame. This was a plus because my son didn’t have to worry about being cautious around it. You can also pick up the lantern and move it around with you without fear of spilling wax or getting burned. You can order this lantern or choose from other Thermacell products by clicking here.